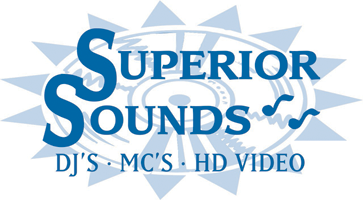 Thank you for interest in Superior Sounds Disk Jockeys. Here at Superior Sounds Disk Jockeys we know how difficult it can be to choose entertainment that will live up to your expectations. We also know that your wedding is one of the most important days of your life, and choosing for your wedding reception is as important as your wedding itself. Superior Sounds is a professional entertainment company providing only the highest quality in DJ entertainment, using professional sound systems and state of the art light shows with special effects. Years of experience and thousands of wedding receptions later, we have become known as Entertainment Specialists. From our personal service, to our M.C. and hosting capabilities, Superior Sounds defines integrity. Therefore, sit back, relax and leave your entertainment worries to our experienced professionals.